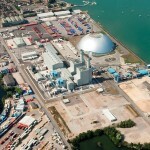 Marchwood Power Station is located on the site of a former oil-fired power station within Marchwood Industrial Park, adjacent to the River Test and overlooking the Port of Southampton. Combined cycle power plants are smaller in overall size than conventional thermal power plants and therefore require less space. 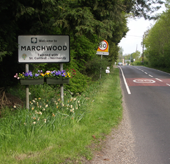 Marchwood Power Station has been designed to minimize the visual impact on its surroundings. 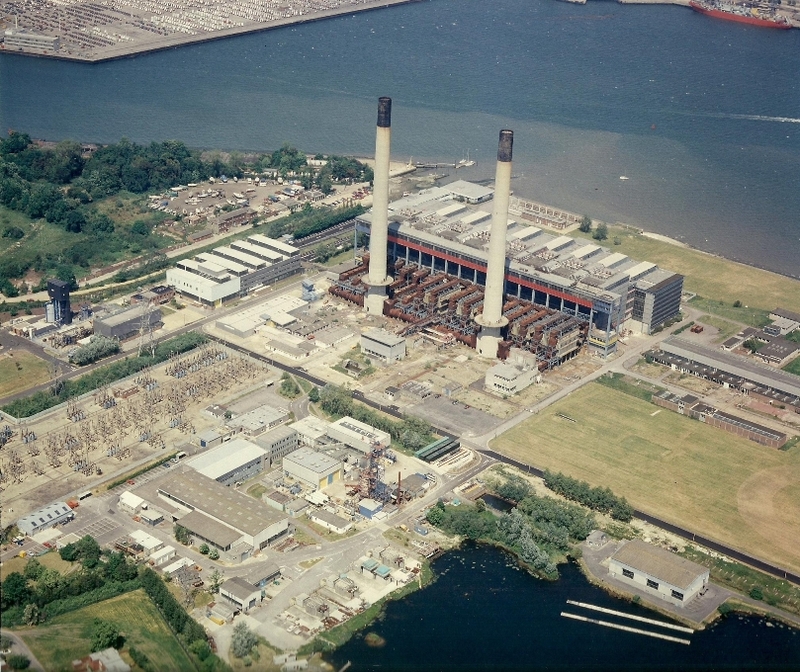 Physically, the plant comprises three elements: the turbine building, the HRSG (boiler) bulidings and the two 70m chimney stacks. 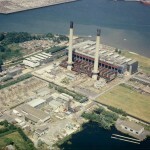 There are no visible plumes from the plant’s chimney stacks under normal operations. Particular attention has been paid to the visual appearance of all buildings and discreet colour schemes have been chosen to blend in with the surroundings. Appropriate landscaping helps to further reduce the visual impact. 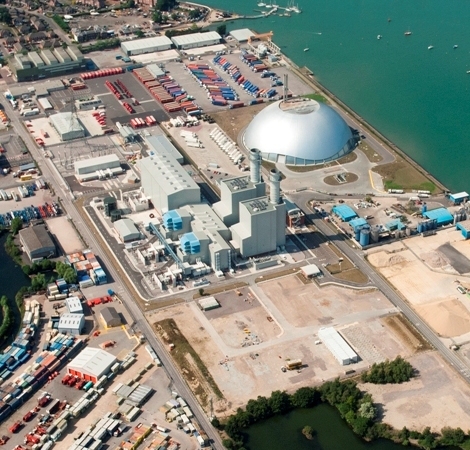 The images below are aerial photographs of both the new and old Marchwood Power Stations. Click on the images to enlarge.